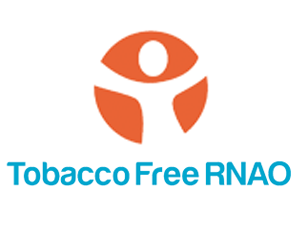 To develop and enhance knowledge and skills in the application of RNAO’s Smoking Cessation Best Practice Guideline practice recommendations into daily practice. To develop knowledge and skills to effectively influence change and facilitate the integration of RNAO’s Smoking Cessation Best Practice Guideline into the workplace organization. Nurses, nursing students and other health care professionals are welcome to become RNAO Smoking Cessation Champions. To help integrate the smoking cessation guideline within their organizations’ policies and systems. To network and raise awareness with other nurses and healthcare professionals in their organization about the smoking cessation guideline. To maintain ongoing communication between the local Smoking Cessation Facilitator in order to share progress, success, challenges and seek assistance. A one-day education workshop that will develop skills in implementation of best practices and practical smoking cessation techniques. Access to a network of Best Practice Guideline Champions within your region and across Canada, established to give ongoing consultation and resources through interactive webinars/teleconferences. Tools and resources to assist with implementation of evidence-based practice i.e., standard templates for presentations, flyers and/or posters, updates or fact sheets. Nurses who must travel to attend a workshop may be eligible to receive reimbursement for travel expenses. To apply for reimbursement, you must fill out a travel reimbursement request form and submit it BEFORE the workshop .